While YouTube hasn't had the best couple of years, it still reigns supreme as the video platform of choice for many creators. However, Instagram's new offering could be set to rival the video giant. IGTV is Instagram's own video destination, where creators and influencers can upload content. While IGTV is mobile based, creators can upload videos from a PC too. However, the incentives for creators to move from YouTube to IGTV are still low. Monetisation options are almost non-existent at this early stage unless influencers are actively working with brands. It also takes a lot of work to foster an audience on a new platform, or to shift your existing audience over to a format they're not familiar with. Competing video platforms have come and gone over the years - Vine had it's time in the sun but eventually failed, taking all but a handful of its creators with it. So what can IGTV do to ensure it doesn't succumb to the same fate? We asked our panel of industry experts about IGTV, and whether they think it has what it takes to become a real competitor to the original home of online video. An early problem with IGTV is the way it curates content. Mobcrush's Phil Ranta highlighted that the videos being recommended to him didn't align with what he wants to see. None of the videos reflect my viewing habits, nor are they from people I know or care about. That leads the app to become cluttered, and actively caused him to unfollow people rather than follow. "IGTV has incredible potential. Instagram already has plenty of scale and 'cool-factor', but it has to re-invent its brand for the video space to succeed," Ranta told influencerupdate.biz. "I just opened my IGTV 'For You' section and the first three videos were: a guy flexing at a 'Mr. Universe'-style competition, a police officer breaking a window because a dog was in a hot car, and a kid lip syncing to a funny song. None of the videos reflect my viewing habits, nor are they from people I know or care about. So why would I choose IGTV over IG, where I know I'll view content from people I actually follow?" Nevaly's David Kim empathised with IGTV being in its infancy, and said that the promoted content won't be to everyone's tastes. He also pointed out that IGTV needs a little time work out how to best cater to it's users. "IGTV is in its early stages and like YouTube back in the day much of the content will be crude and random," Kim said. "It'll take time for creators from IG, YT, and other platforms to wrap their heads around how content on IGTV can pop. And certainly from a product/engineering standpoint it will take time as well for Instagram to understand user behavior enough to shape an experience that'll be rewarding for creators and consumers alike." However, it's impossible to ignore the fact that IGTV will create fresh opportunities for creators and influencers across the board. EyeFitU's community manager Natallia Adzintsova thinks that vertical video presents a new movement in the video space. She also states that while IGTV doesn't offer advertisement potential yet, it certainly will. Not just that, but companies and brands will have to get savvy with how they approach it. 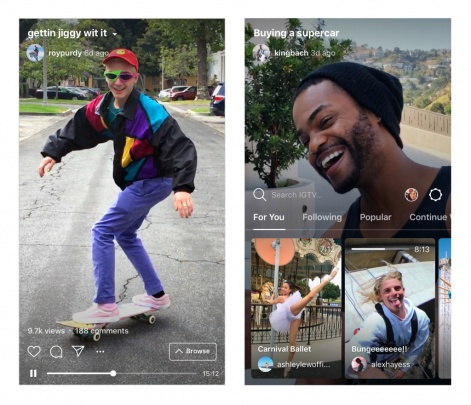 "Instagram’s new IGTV will offer huge potential for influencers and video creators and it will definitely change the world of business. Vertical videos, made by amateurs and shared on social media, are set to be the future of mobile video and “vertical storytelling” is going to be the ultimate trend of digital media. "With this new feature influencers will gain more freedom and power to directly engage with their audience and so there will be more opportunities for businesses to jump in and sponsor video content, introducing new relationships strategies. "Although IGTV does not offer advertising opportunities yet, it certainly will in the near future. This will reshape the advertising industry, as its ad placement potential is vast. From a shopping app’s point of view, as we are, it will be interesting to see how paid content will be managed on the new platform. Without a doubt this new stand-alone extension of Instagram will definitely challenge platforms like YouTube and Netflix and the likes." 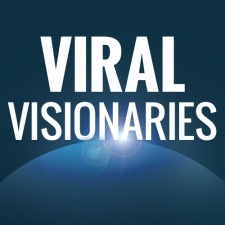 Viral Visionaries: Does Snapchat still have worth as an influencer marketing platform? When it comes to driving downloads, is it better to recruit a few big influencers or a larger amount of micro-influencers?